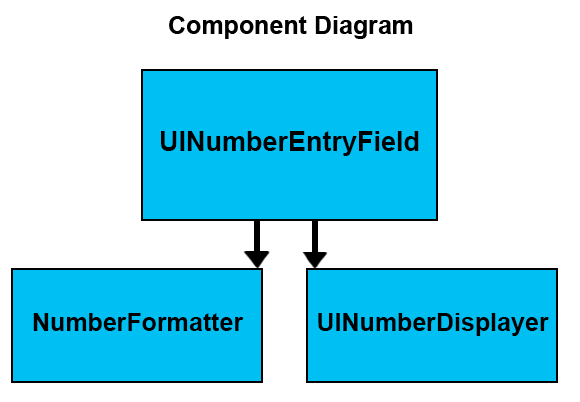 NumericTextEntry is a powerful, extensible library made for your application’s numeric entry needs. NumericalTextEntry is intended to be very extensible. Despite its extensibility, NumericalTextEntry is very easy to work with. // e.g. 2: rawValue: "23.0" - formattedNumber: "23.00" - displayedNumber: "23.00"
// Change the number displayer. // NumberDisplayer customization: both the UIFloatingDecimalNumberDisplayer and UIFittedFlatNumberDisplayer have toggleable animations. // Custom fonts and text colors are available for every number displayer as well! Want to disallow float values? Simply inject a NumberFormatter that doesn’t allow floats! Want to create your own NumberDisplayer? Follow this simple protocol! /// Displays the provided value. ///   - stringToDisplay: The complete string to display. /// - Returns: The views that were created to hold the displayed value. NumericalTextEntry is available under the MIT license. See the LICENSE file for more info.